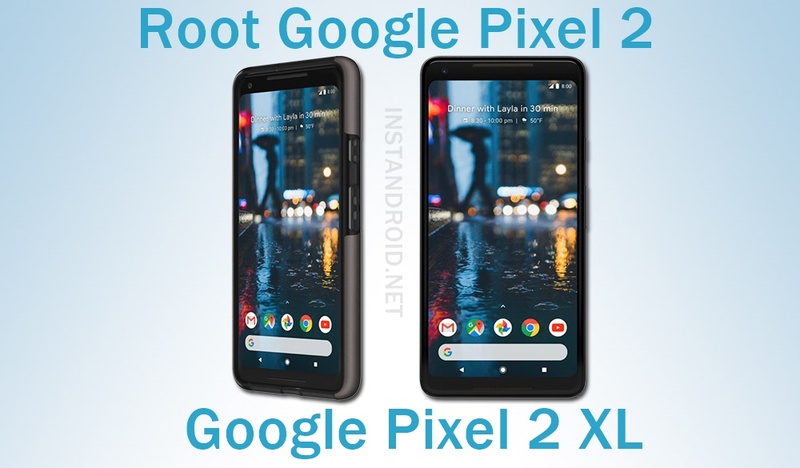 To root your Google Pixel 2 And Pixel 2 XL, your phone must be bootloader unlocked. At first Download the Official Factory Boot Image from the download link given above. Download Taimen for Pixel 2 XL and Walleye for Pixel 2. Put the file in ADB Folder on your computer. Unzip the Factory Image file. You will see a bootloader image, a radio image, an image zip file, and a couple of flash scripts. Remove the “-w” flag before the fastboot command towards the end of the file. This will prevent fastboot from formatting your device. Connect your mobile into computer by a USB Cable. Reboot the phone after finish. Download the Magisk zip from the and install the manager from the zip. Install Magisk and Latest Magisk manager. Extract the factory image downloaded earlier, then open the extracted folder. Extract and open the image-taimen-opd.Xor image-walleye-opd.X folder, then copy the file labeled boot.img to the Downloads folder on your phone. Select boot.img. Magisk will use the boot image you supplied to generate a modified boot image for your phone, and give you the location of where that image is stored. Copy the modified image from the phone to your computer. Put the file into ADB Folder. Connect your phone into pc by usb cable. Now, open a command prompt window by pressing SHIFT + Right Mouse Button. Your work is done here. After the phone boot up, download Root Checker Pro.apk from Playstore and check if the phone is rooted or not. 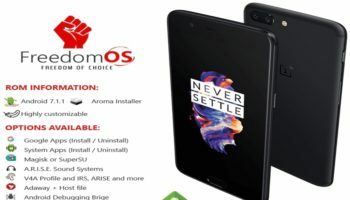 OnePlus 5 Nougat Custom ROM - FreeDom OS: Android 7.1.1 operating system based Freedom OS Custom rom is here for your Favourite Oneplus 5 smartphone.